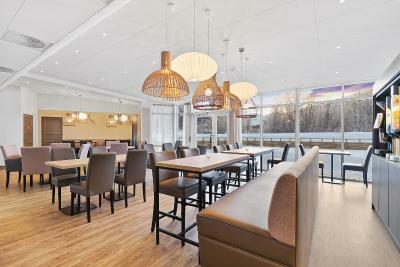 Lock in a great price for Tromsø Lodge & Camping – rated 8.2 by recent guests! 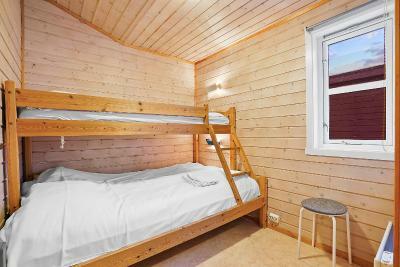 The cabin is very comfortable and warm, the living room is perfect for warming up with a cup of tea in front of the tv. Didn't have any problems with heating or hot water, everything was perfect. The small kitchen is great if you want to cook instead of going out. Although it's a bit far from the city centre, you can easily get there by public transportation (they have maps at the reception, or you can download the Troms Reise and Tromso Mobillett apps) or, if the weather is nice, by walking. The cabins in the snow are a beautiful thing to look at for itself. The cabin was warm and clean! The staff were so nice and welcoming! I highly recommend this site! However, the nearest bus stop to Tromso city center is 10 minutes away from the site by walking so it is not convenient with traveling with suitcases. Yet, ifyou dont have a problem with taking a taxi to and from the airport or if you rent a car then it is not a problem at all. Amazing place to stay. Beautiful next to the mountains. Loved the location, next to the river and the mountain. Pure nature, quiet area, cute little houses, pretty interior, warm and cosy. It has the most beautiful landscape. We were able to see Aurora Borealis almost every evening! The receptionists are very polite and always trying to assist. Very clean and comfortable. Exceedingly friendly and informative staff. They even let me borrow ice grips for my shoes during poor weather! Highly recommend. The location was good to experience the natural environment in Tromso. The stuff was lovely and helpful. The Tromso city is small so don’t worry about the transportation. It just need few minutes to take a local bus from the city center to the nearest bus station to the camp. And in the city center you only need 15min around to get to the airport via bus. The reception provided useful information for everything we want to know. Good staying! I really like the cabin, its coy and nice! The bathroom outside was not so far ! You can park the car by the side of the cabin, definitely a plus :) Close to the ciry, 5 min by car! 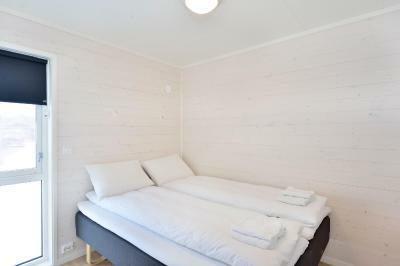 Tromsø Lodge & Camping This rating is a reflection of how the property compares to the industry standard when it comes to price, facilities and services available. It's based on a self-evaluation by the property. Use this rating to help choose your stay! 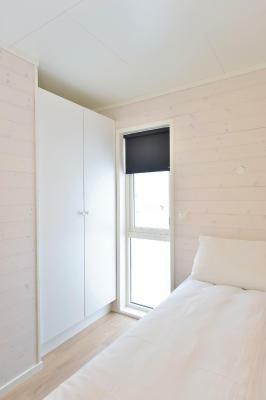 Located by the Tromsdalselva River, this property is just 5 minutes’ drive from Tromsø city center. It offers cottages with private patios and kitchen facilities. WiFi and parking are free. 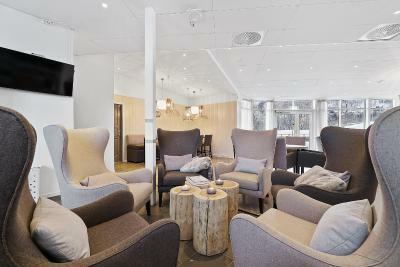 A seating area and a TV feature in all cottages at Tromsø Camping. All cottages have views of the impressive mountains, while some overlook the river. 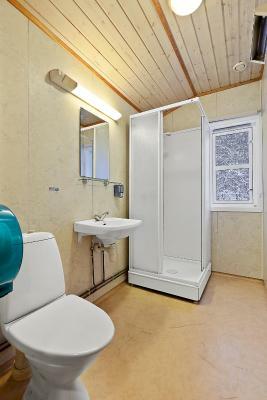 Cottages have either shared or private bathroom facilities. 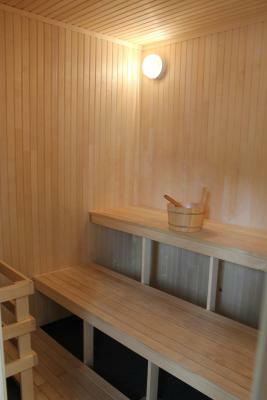 On-site facilities include a football field, a sauna, barbecue facilities and a bar. Tromsø Camping is nearby hiking trails and other nature experiences, offering closeness to Norwegian nature. The Arctic Cathedral is 1.2 mi away. Tromsø Airport Langnes is a 15-minute drive from Tromsø Camping. 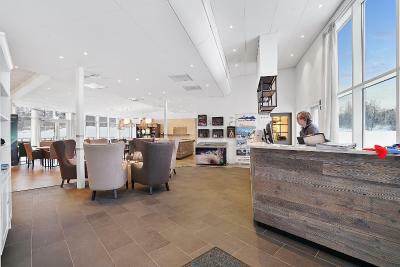 When would you like to stay at Tromsø Lodge & Camping? This cottage features a kitchenette, patio and seating area with flat-screen TV. Please note that pets are not allowed in this cottage. Brightly decorated cottage with a fully equipped kitchen, a patio and a seating area with flat-screen TV. This cottage has a refrigerator, a small stove and a sitting area. There is no running water inside. Guests have access to a shared kitchen and bathroom facilities. Bed linen and towels are not included. You can rent them on site for 100 NOK per set or bring your own. This bungalow has a cable TV, kitchen and private entrance. House Rules Tromsø Lodge & Camping takes special requests – add in the next step! Tromsø Lodge &amp; Camping accepts these cards and reserves the right to temporarily hold an amount prior to arrival. Tromsø Lodge & Camping accepts these cards and reserves the right to temporarily hold an amount prior to arrival. If you expect to arrive outside check-in hours, please inform Tromsø Camping in advance. Please inform Tromsø Lodge & Camping of your expected arrival time in advance. You can use the Special Requests box when booking, or contact the property directly using the contact details in your confirmation. How to get to Tromsø Lodge & Camping from "Tromsø Airport, Langnes"
- Awesome location. Next to the lake. You can see the horizon where mountain reflect in the lake from bedroom window. - Brand new and very modern cabin. Super comfy. Feel like home. - Staff is super friendly and helpful. The camp territory wasn’t properly snowblowed, so there were huge puddles in the driveways. Walking around and getting to facilities (e.g. toilets and bathrooms) was tough as well. Drafty cabin. Shared kitchen was pretty dirty. Toilet stalls are just impossibly narrow and uncomfortable to use. Check-in is possible during off-working hours. Сomfortable location. We missed a shelf for the clothes. And we missed a colander for the noddles. We were during the winter time in Tromso. We had a traditional cabin for 4 persons. It was warm and cozy. We started directly at the cabin with the skies. And we had good luck, we have seen the northern lights - 3 times. The Location was Perfect! We saw the auroras there! This is just constructive criticism and would stay again. But the Cafe / reception area would be better if it stocked a selection of basic foods and drinks to reduce need to go to the Euro Spa. It would have been nice if the bar stayed open later to help mingle with other people staying. The cabin we stayed in had broken blinds which I reported to reception. But I was told they knew about it. I got the impression that I should accept it as a minor inconvenience. The bedroom lighting could be improved. I am unsure if the living area of the cabin should have had underfloor heating. If it did then either ours was not working or we didn't know how to switch it on. Bathroom, bedroom and Hallway underfloor seemed to function. It might be a big ask, but I'm sure a shuttle bus service running a few times in the morning and evening would go down a treat with customers between the campsite and centre of town. It might be good for idea for the future to plant trees to hide the blue factory looking building from view. I did get used to it, as I found I could turn a blind eye to it. Despite my criticism, overall the cabin was cosy and despite its location I would likely still choose to stay here again rather than a hotel near the centre. The staff at reception are very courteous and friendly. Stayed in the Traditional & Economy cabin and I can honestly say that this was the best experience I ever had. Not only the facilities were really comfortable (bonus with the Sauna) but with the picturesque view that we had, it was amazing. Staff was really friendly & accomodating. The location is perfect too with being 5 mins drive from the City Centre. Definitely would be recommending this place and if I ever get the chance, to go back to Tromso and stay at the cabins. the toilets are public and you have to walk outside at midnight for toilet using access card. the lodge were too tight. Good location for to observe aurora lights.You can go to gutta pa skauen for camping.This camping side inclueding woods and seats.But this way a little dark and scary. Nothing, the site was brilliant! Everything - the site was in a perfect location, easy access to town, very helpful and friendly staff and the economy cabins were perfect for us! Excellent service, perfect place for relaxing and as starting point for surroundings exploration. Cabins were very clean and staff really helpful.